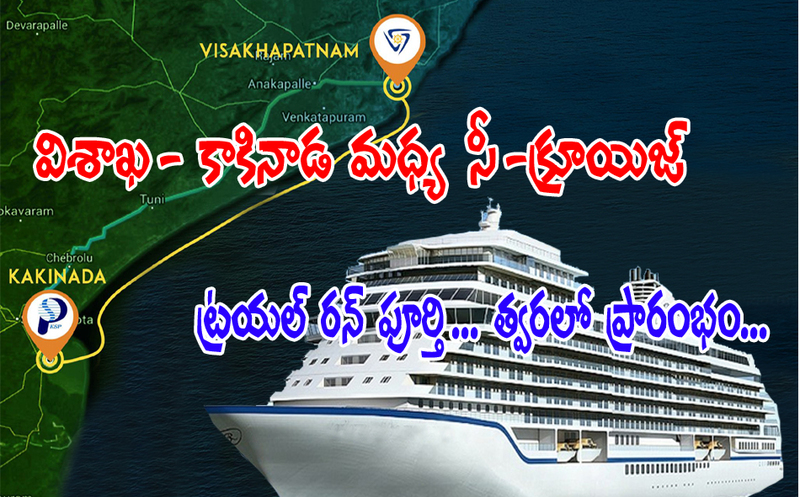 The much hyped Vizag-Kakinada sea cruise will be operational in the next few weeks. The trail run of this project is also completed and everything is set for a launch. This sea cruise between Vizag and Kakinada will be a 40-seater glass-domed ship. The fare of the cruise will be higher than the existing fare of bus and train. The sea route distance between Vizag and Kakinada is nearly 130 kilometres. The cruise would attract tourists to the blue waters of Bay of Bengal and the panoramic beauty of Konaseema and Eastern Ghats.